It’s been a few years and a few websites since we started using Wordpress as more than a blogging platform. As we work more and more with Wordpress, we are convinced that its capabilities go beyond what it can do on the front end. It is perfect for a website redesign or even building your site from the ground up. It is no secret that the reason why bloggers and other content creators choose Wordpress because of its user-friendly and intuitive back-end functions. This is something that developers are tapping on with more strength during the past couple of years, utilizing a free resource to create robust and powerful CMS (Content Management Systems) that supports and complements a well-designed and dynamic website. There are quite a few different CMS options out there that can be used to create a streamlined back end for website updates, all of them have their pros and cons. If you already are working with a web agency, most likely the have made their recommendations, which can be Wordpress or any other option. But, if you’re not a developer, how do you trust such recommendations in terms of back-end and front-end functionalities? 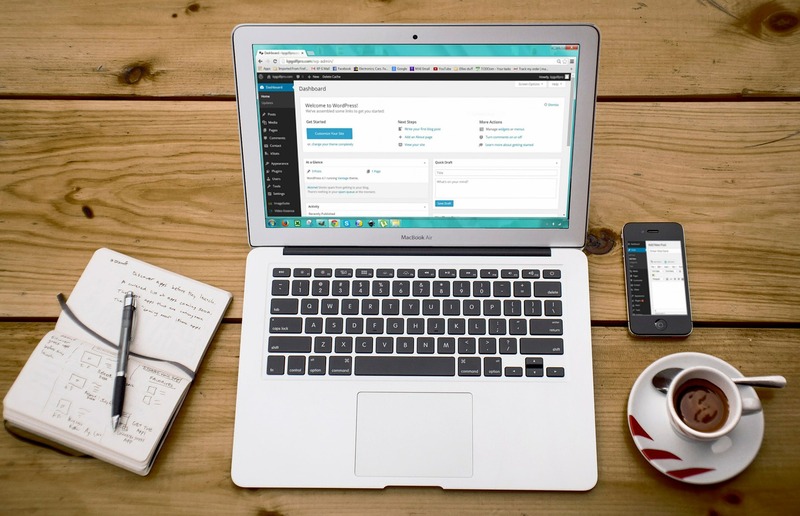 To give you a hand to sort things out and make the best decision, here is a list of five things to consider when choosing Wordpress as your preferred development platform. From a simple 4-page informational site to a complex e-commerce site, Wordpress offers a great deal of flexibility when it comes to customization. Their system offers so much versatility with their frameworks and infrastructure that, literally, the possibilities are limitless. When you decide to use Wordpress to build your site, you can choose to develop it from scratch or use a pre-built framework (these can be free or at a cost). Some of these off-the-shelf solutions might be enough in terms of what you want for the front end, but, because this was built by someone who was not considering your specific needs and wants, the actual CMS might become completely overwhelming and not the user-friendly and intuitive environment we talked about earlier. Unless you have a developer at your disposition at all times, this might not be the best option for you. When building your theme framework from scratch, you have already proved yourself that not just your brand is important for you, but that your overall business and marketing operations and results comes before saving a few bucks here and there. Building a theme from scratch means that you have done the exercise with your web agency of developing a creative brief, a sitemap, wireframes and designs that speak specifically about your business. The result won’t be anything generic on the front or back ends. Wordpress is the king of content platforms… And SEO is all about content. But SEO goes beyond adding random content to your site. A good SEO strategy will include keywords and key phrases on top of optimization of your page titles, permalinks, images and more. Don’t think that Wordpress will automatically optimize your site. It is a good platform and it comes ready to help you on this endeavor, but to have good results in terms of SEO you need a good content marketing strategy in place. So, you’re web agency has completed and deployed your site, now what? Well, since you chose Wordpress as your CMS platform, you can now add and update your own content without the help of a programmer. This means that you can add/delete/modify text and images to any of your current pages. You should also be able to create your own pages and link them properly. If you have an e-commerce site, you should be able to add/remove/modify products in terms of text, imagery, price, quantities, etc. Wordpress has a pretty secure core. However, according to Forbes more than 30,000 websites are hacked every day. Like any other platform or website, you should make sure that you take the necessary precautions. One of those precautions is to keep your Wordpress site updated to the latest Wordpress security fixes. There are a few security plugins that will add to your security efforts. So, with all this said, developing a site using Wordpress can be the best choice for your company’s website not just because how customizable it is and it supports amazing content creation, but also because Wordpress is evolving every day. This makes it a top influencer in how technology alters the future.